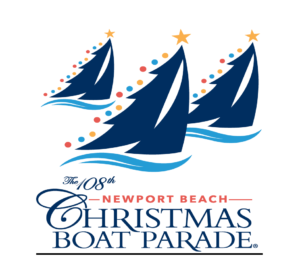 We are proud to announce our proposed Grand Marshals for the 108th Newport Beach Christmas Boat Parade. Each night we will be celebrating with either talented entertainers, athletes or distinguished members of the community. Misty May-Treanor and Kerri Walsh Jennings are considered the greatest beach volleyball team of all time after winning three straight Olympic gold medals (2004, 2008, 2012). May-Treanor and Walsh Jennings and won 21 consecutive Olympic matches and only lost one set (to Austria in 2012) during their 11-year run together. May-Treanor finished fifth with partner Holly McPeak at the 2000 Olympic Games in Sydney. Nick Hagelin – Nick Hagelin is an award-winning singer/songwriter living in Atlanta, GA. His soulful voice and loving spirit have earned him millions of views on YouTube and a strong run on Season 10 of The Voice, where he finished Top 9. He has been featured on The Nickelodeon Kids’ Choice Awards, NBC, CBS, FOX, We TV, E! News, US Weekly, and People Magazine. Peyton Parker – Peyton was a contestant on Season 10 where she earned a three chair turn and a spot on Team Blake. Her blind audition video of Fleetwood Mac’s “Dreams” has nearly three million views on YouTube. Peyton is currently writing, performing and preparing for the release of her debut album in Spring 2017. Paxton Ingram – an artist best known as a finalist on The Voice, Season 10. His debut EP, Recover is available digitally now and Paxton is as bold as ever. Debuting at #90 on iTunes’ highly coveted Top 200 Albums Chart. Paxton sings with maturity far beyond his years, revealing a more adventurous and vulnerable version himself throughout the EP. With introspective and openhearted stories layered with complex and cinematic pop production. Recover serves up brave confessions (“Folding my hands – I’m praying to forget” he admits on Barricade). Making Paxton Ingram a definite must watch artist of 2017. Kylie Rothfield – Crafting songs that combine elements of soul, blues and pop, Kylie’s music is unique, honest, and expressive. Although her vocal ability is undeniable, she is also an accomplished self-taught guitarist. In July of 2015, Kylie signed a publishing deal with Terrorbird Media and Elephant Lady Records/Kyle Andrews. Together, they had 5 placements on national television in their first year together (NBC, E!, ABC, MTV). She also recently gained a sponsorship/endorsement deal with Epiphone and is currently playing full-band shows around the country and writing for her next project. Adam Wakefield – All country. All soul. All the gospel of Rock & Roll. An artist committed to musical excellence, Adam Wakefield finished second overall on Season 10 of The Voice and became the highest charting artist on The Voice Season 10. His original song, “Lonesome, Broken and Blue” hit No. 1 on the iTunes Top 100 songs chart and boasted the season’s top debut on Billboard’s Hot 100 chart, entering at No. 73. The single, which Adam wrote, also arrived as his highest charting (No. 14) of nine entries on Billboard’s Hot Country Songs. Aside from The Voice, Adam has shared the stage as a musician with country artists Chris Cagle, Lee Brice, Keith Anderson, Michelle Wright, and more. During the 2016 CMA Fest, Adam performed alongside the Oak Ridge Boys, Maren Morris, Steven Tyler and more as part of Marty Stuart’s Annual Late Night Jam. Will Champlin – Born and raised in Los Angeles into a musical family, Will Champlin holds his own from playing Piano on Michael Jackson’s last record, reaching top 3 of season 5 of THE VOICE, to most recently co-writing ‘Wolves’ from One Directions ‘Made in The AM’ record. After graduating from Berklee College of Music, Will toured as a musician with the likes of Santana, Billy Ray Cyrus, to Glen Frey of the ‘Eagles’ and more. His songwriting work on Heather Headley’s 2010 “Audience of One” earned him 2 Grammy wins. Propelled by a loyal & amazing fan base known as “The #Champs” Will was able to reach the Billboard hot 100 with his rendition of “At Last. In July of 2014 Will released his Record known as ‘Borrowing Trouble’ which is available for download which features ‘Heat Of Passion’ used for HBO’s 2014 fall preview, and ‘Eye of the Pyramid’ in which he returned to the Voice stage. Champlin is always sharpening his arrows of creativity to hit the bulls eye and make his mark in the world of music. Members of USC Trojan Marching Band – The Trojan Marching Band — known as “TheSpirit of Troy” — is the most dynamic and innovative collegiate band in the nation. Named among the 8 best marching bands in the country by USA Today, the band is one of USC’s most visible public relations tools and provides tireless support of USC athletic teams. Approximately 20 percent of its members are music majors, with almost every school and department represented among the balance. Now 300-plus members strong, the Trojan Marching Band has tripled in size since Dr. Arthur C. Bartner became its director in 1970. A graduate of Michigan, Bartner brought with him a creative approach and the unique, contemporary “drive-it” style of marching. The Trojan Marching Band is complemented by the world-famous USC Song Girls, who were ranked No. 1 in the nation by Sports Illustrated, and the Spirit Leaders.